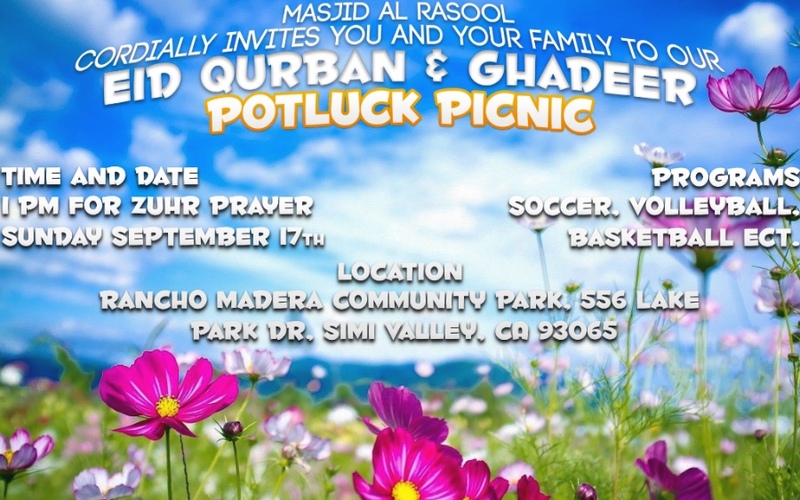 Our community would like to invite all to our Eid Ghadeer & Qurban Picnic. Programs: Soccer, Volleyball, Basketball, etc. "The example of those who spend their wealth in the way of Allah is like a seed [of grain] which grows seven spikes; in each spike is a hundred grains."